Louisville photographers have to play a waiting game when it comes to fall family photos or couples sessions with brilliant fall foliage! This year’s autumn window was exceptionally small— but I made the most of it with plenty of photo sessions! 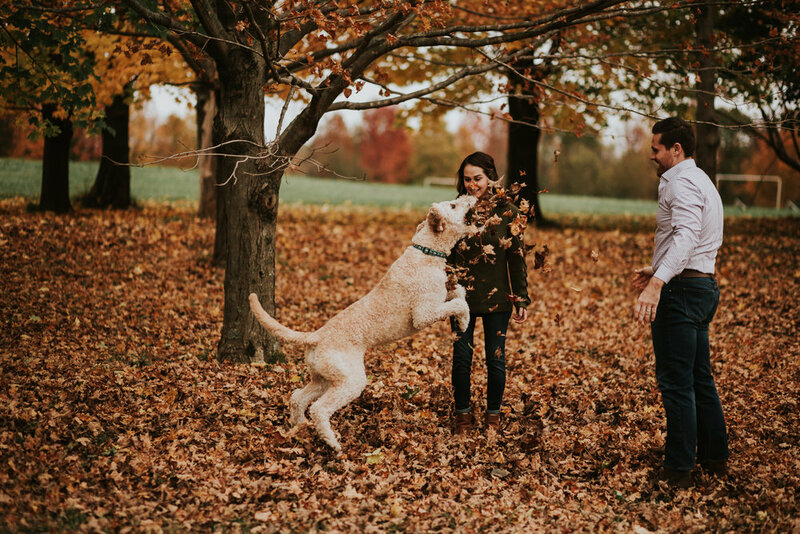 Tabitha and Derrick wanted photos with their adorable goldendoodle in the park— and I was happy to romp around with them and their sweet dog. I think we found some of the prettiest spots for their portraits, wouldn’t you agree?